Bangalore University located in the Indian state of Karnataka is a public university and is one among the oldest universities in India. It was established in 1886 and is a part of AIU (The Association of Indian Universities). 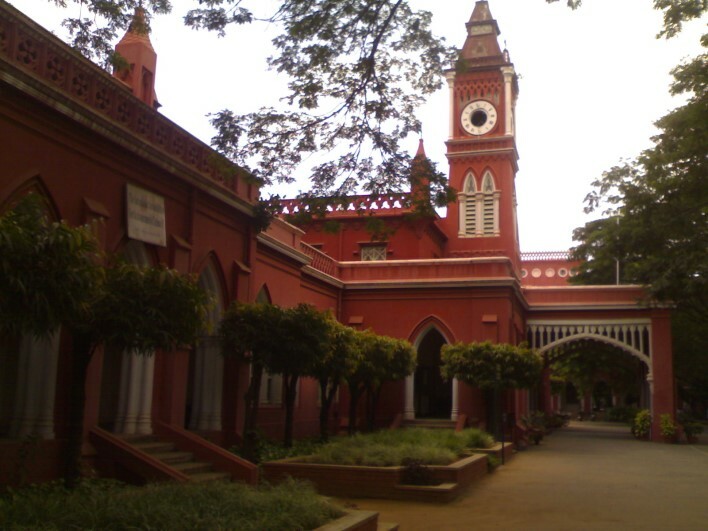 The University was initially established as Central College in Bangalore during the British Raj in the year 1886. The UGC rechristened it to Bangalore University on the 10th of July 1964. It has two campuses known as the Jnana Bharathi Campus and the Central College Campus. The university became affiliated to the state under the Karnataka State Universities Ordinance in 1975. The Jnana Bharathi Campus covers an area of 4.5 sq. kilometers. In 1964, Central College was transferred to Bangalore University a new university formed to meet the needs of the people of Bangalore. Many universities such as Rajiv Gandhi University of Health Sciences, National Institute of Mental Health and Neurosciences and Visvesvaraya Technological University have sprouted from Bangalore University. Institute of Aerospace Medicine (IAM) designed by ISRO to equip astronauts with an adequate knowledge for the space program, is also housed in the city. The university produces the largest number of Ph.Ds and hosts a huge number of foreign students. More than 85% of the university’s faculty have doctoral degrees and dedicate their time to train and guide their research scholars. The research activity in the university is monitored by a committee. There have been nearly 600 Ph.D.s awarded in the last five years. There are nearly 1,044 students registered for the Ph.D. program. Financial assistance is duly provided to SC and ST students who are pursuing their M.Phil, Ph.D. and post graduation in the university. The university has a five year course in social science, business, science and arts. There have been more than 1,300 publications in the form of journals and research papers in the university and a lot of original contributions have been made in various fields ranging from Fluid Mechanics to Geochemistry. Bangalore University has a bio-park, library, health care centre, basket ball courts, swimming pool, kho kho ground, science instrumentation centre, 7 hostels and a publication unit. The Bio Park spans over 600 acres and has a Gandhian Studies centre and Yoga centre. There are a number of notable luminaries who have been associated with Bangalore University, such as the famous Nobel Laureate in the field of Physics; Sir C.V.Raman, Prof. Leonid Hurwicz who won the Nobel Prize for economics, C. Rajagopalachari, E P Metcalfe, Rahul Dravid, Anil Kumble, Venkatesh Prasad, Robin Uthappa. The Vice Chancellor of this university is Dr D. N. Prabhudev. The important colleges affiliated under the Bangalore University are UVCE, St. Joseph’s College, Presidency College, Mount Carmel College, St. John’s Medical College, Bangalore Medical College and National College.